According to the sewage dispose requirements of municipality department, rode administration department , construction committee department, environment committee and transportation administration. Because the sewage produced from sand separator contains a lot of concrete, fly ash, different kind of additives, so it will pollute the environment and result in land salinization if directly discharged after sedimentation without filter press processing. In this situation ,the wastewater was pumped into filter press after mixing in the mixing tank, after filtering, the concrete, fly ash etc was separated and filtrate from filter press becomes clean. 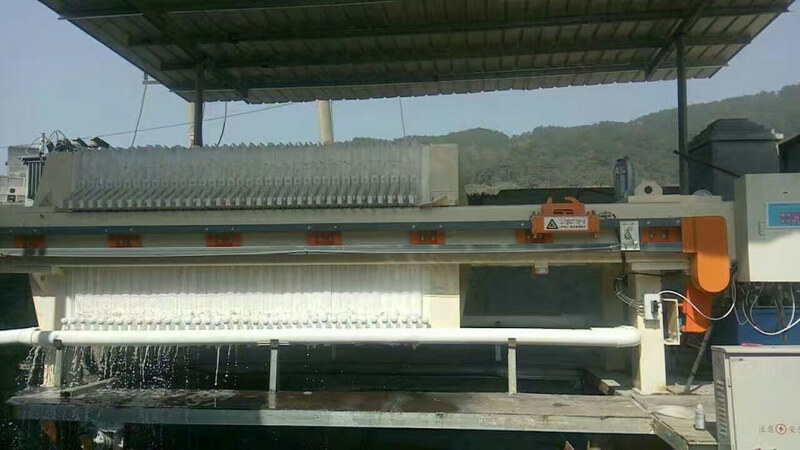 The filter press is ideal equipment to avoid the pollution in Sand stone factory.